After a long hiatus, Bay Area producer and label stalwart Go Yama returns with a triumphant full-length release. Following a period of internal struggle with the realities of creating art in the digital age, the genre-bending producer has turned inward, tearing down and rebuilding his creative approach. This re-imagining of the Go Yama sound has brought one of his deepest creative driving forces to the forefront of his music: the need to cultivate a sense of exploration and curiosity about life. Naturally, 'The Exploration' LP is the culmination of this realisation paired with a surge of unbridled creativity. Through tireless and unfettered experimentation, the producer allowed themes, narratives, and connections in the music to make themselves apparent through the process of creation, rather than dictating them from the start; the album is essentially a snapshot of Go Yama crystallising his own musical 'truth'. Additionally, his interest in anime / manga culture is apparent in the sculpting of samples and soundscapes throughout the album. Fuelled by bouncy basslines, sweeping guitar riffs, a collage of found sounds, and a pervasive soulful streak, the sonic world of Go Yama is perched in the middle of a web of genres and styles, taking inspiration from all but never being tied down to any. 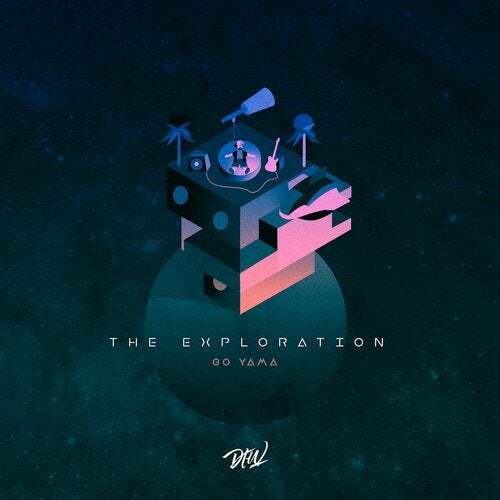 'The Exploration' takes us on a journey deeper into this world than ever before, and it is a truly awe-inspiring ride.